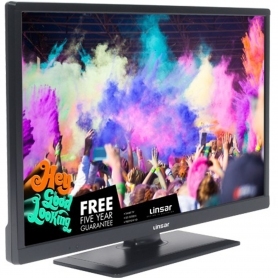 Save space with Linsar’s 24LED4000, featuring a built-in DVD player. 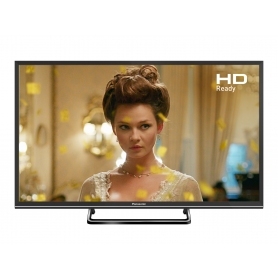 Keep the whole family happy with this fantastic Wi-Fi enabled TV – there really is something for everyone. And, your family will love the built-in Freeview Play TV service. Enjoy over 60 standard channels, and up to 15 HD channels – all completely subscription free. Also, scroll back through the past seven days of entertainment and even stream shows to catch up on the latest action. From the latest rom-com to a classic action-packed drama, you can watch what you want, when you want. Slim and sleek, the black 24LED4000 makes a stylish addition to any home. Save valuable space and still enjoy all your family’s favourite films with the integrated DVD player. You can even mount your Linsar TV on the wall or use the central black stand – whichever works best for your space. Plug in a games console or even a soundbar to take advantage of the fantastic 720p HD ready screen – the choice is all yours. Also rated ‘A’ for energy efficiency, you can be kinder to the environment and your pocket while relaxing on the sofa. 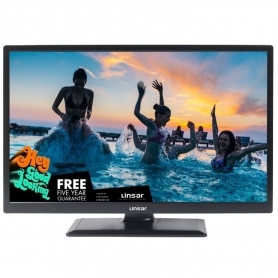 Save space with this superb Linsar LED TV, featuring a built-in DVD player. Your friends and family will love the incredible smart features. Add the 24LED4000 to your basket today. Freeview HD with Freeeview Play - Enjoy better picture quality when watching live TV thanks to integrated Freeview HD, all without a subscription. Built-in DVD Player - The integrated space saving DVD player enables you to enjoy all your films without the need for an extra box. 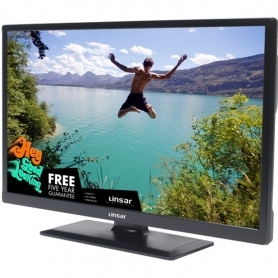 Well connected - With 2 HDMI slots, 2 USB ports and one SCART socket, this Linsar TV offers you a complete media centre.